Hi everyone! Wendy here and today I'm sharing a layout I did with a self photo that my dear son and I took on a LONG class trip bus ride recently. 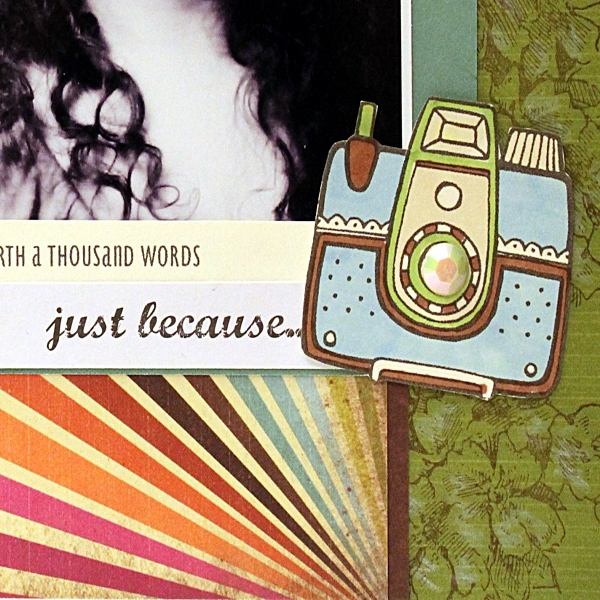 I loved the font used on the paper strip naming the "Just Because" Collection so instead of throwing it away, I trimmed it down and used it on the layout. I die cut title letters from the brown pattern paper. The flowers were stamped with Java Powder Puff ink. I added a bit of highlight with a white colored pencil. This helps to make the flowers pop a bit. Thanks so much for stopping on over today to visit the blog! 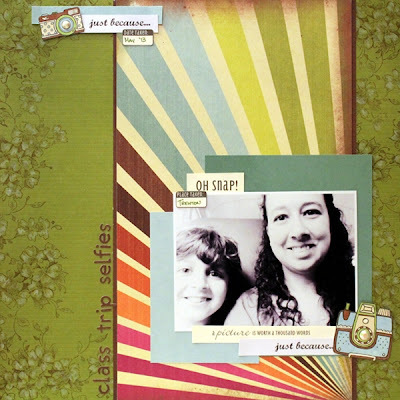 Great idea on using the paper collection title strip! What a fabulous layout! You look like you had a fun time! Beautiful layout!!! Just Because is one of my favorite lines! 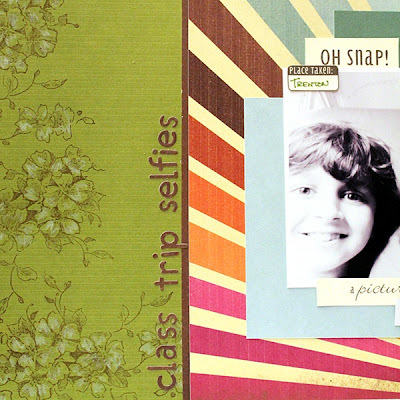 Love the way you created your own background by stamping! !